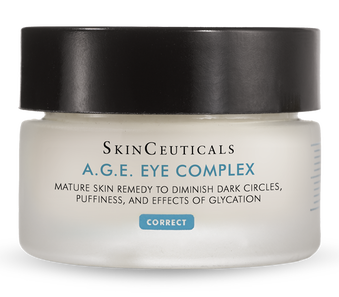 A skin remedy to diminish dark circles and puffiness, as well as improve the sagging appearance caused by the aging process. 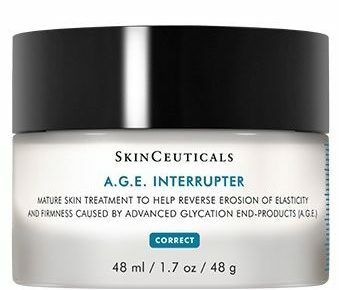 This is an anti-aging skin treatment that improves the appearance of wrinkles, firmness, and elasticity. 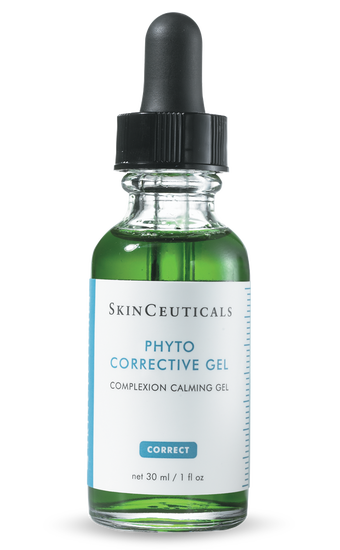 This complexion calming gel contains botanical extracts with anti-inflammatory and antiseptic properties to help soothe and calm irritated skin. Optimal product for sensitive or problematic skin. 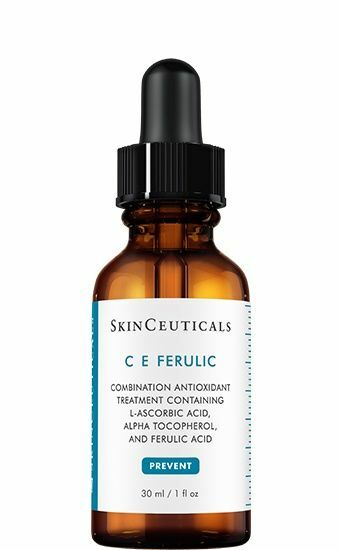 A combination antioxidant that enhances protection against environmental damage and improves signs of aging and photodamage, while brightening the skin’s complexion. 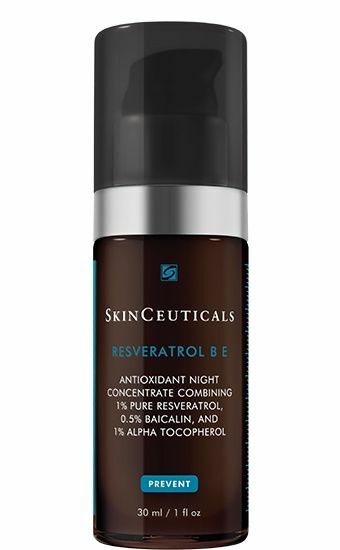 This nighttime treatment neutralizes free radicals, strengthens your skin’s natural antioxidant defenses, and reveals visible radiance and firmness. 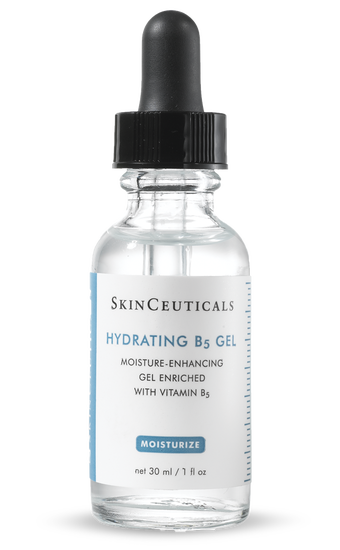 This moisture-enhancing gel is enriched with Vitamin B5 to help maximize the benefits of your daily moisturizer. Optimal for all skin types. 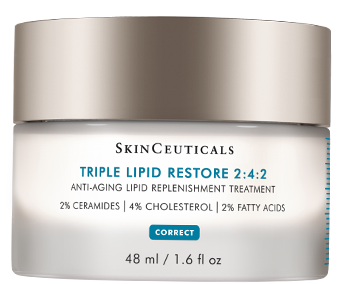 An anti-aging lipid replenishment treatment, this daily emollient helps reinforce the skin’s barrier and supports it’s natural self-repair to reduce visible signs of accelerated aging. 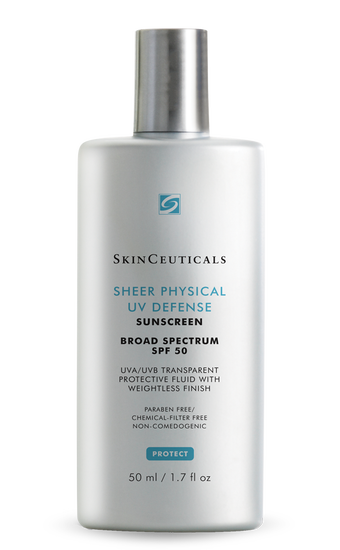 SkinCeuticals line of broad spectrum SPF 50 sunscreen products offers an option for all skin types. SC Physical Matte UV Defense provides an oil-absorbing base with a matte finish, SC Sheer Physical UV Defense provides a protective fluid with a weightless finish, and SC Physical Fusion UV Defense is water resistant and enhances the natural skin tone.